This painting was inspired by my scuba diving in the beautiful waters of Cozumel (Mexico). 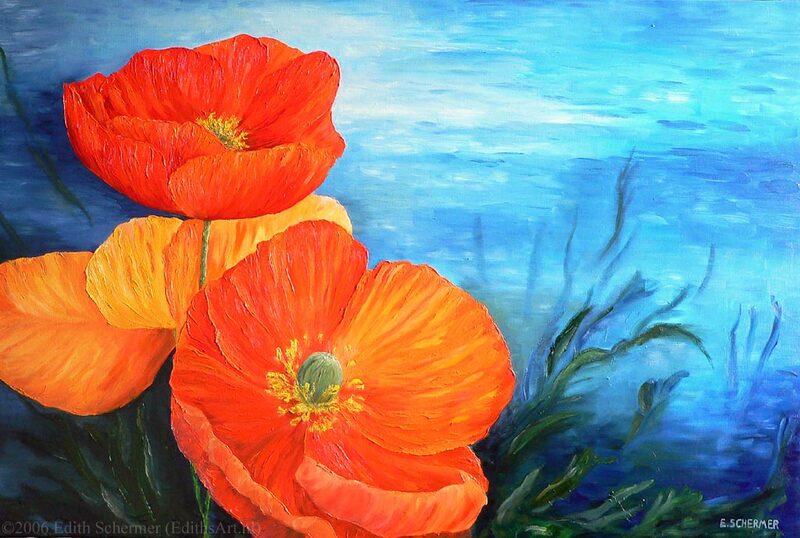 The orange Poppy flowers were chosen to match my sister in laws interior. The colors are bright and vivid during the day. At night (by yellow light) the flowers really jump off the canvas whilst the background goes to sleep.